We all know we need homeowners insurance for our property but if you are an “accidental or unintended landlord”, meaning you moved and decided to rent your home or you are just new at being a landlord, you may be unfamiliar with the different types of policies available to you. Make it a priority to look over your homeowners insurance policy because it’s very likely your existing policy doesn’t cut it anymore. Most policies cover owner-occupied homes, and yours no longer qualifies. What does this mean? 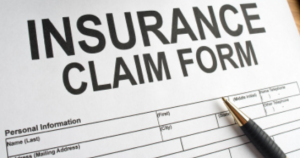 It means, the insurance company can deny coverage unless you have the proper policy. Of course there are various policies to choose from that cover standard losses in addition to equipment breakdown, loss of rental income, and accident liability so make sure to discuss your options with your insurance professional. Taking action now will ensure that your rental is properly covered. One other word of advice: Make sure your tenants have renters insurance to cover their own personal property.